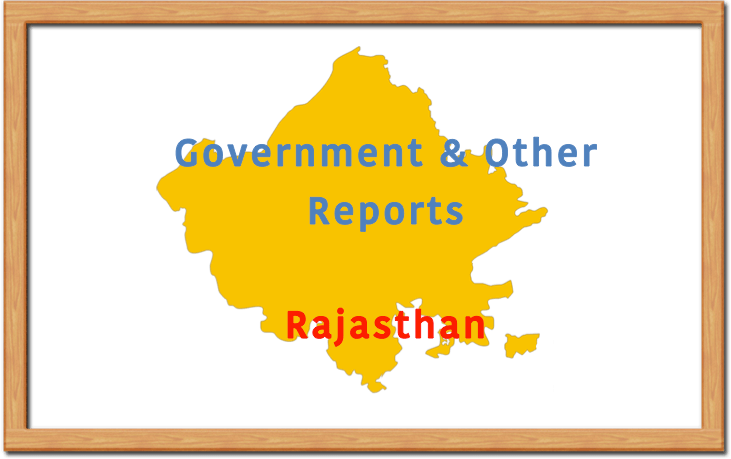 This Page enlists direct download links to State relevant reports, documents published Rajasthan & Central Government, independent Think-Tanks & research groups. Disclaimer: None of the reports have been copied or uploaded on our website. This page just shares the links to their respective website sites. Our aim is just to improve access to knowledge. Additionally, liability of correctness of data is responsibility of publication, RajRAS share neither any right or responsibility on the same. Users are requested to verify authentic data & citation rules directly from publisher.